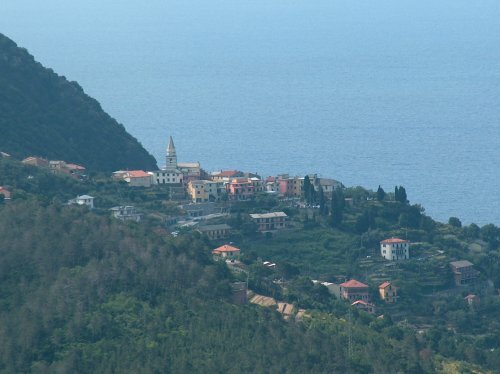 A network of paths runs through the Moneglia, which go from the centre out towards the hillsides along the coast or internally towards the mountains. 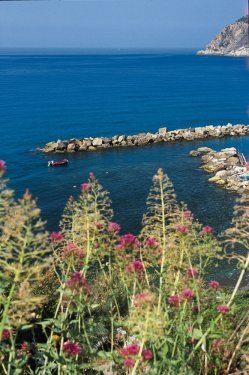 The rocky outcrops of Punta Moneglia and Punta Baffe can be reached by following the paths up through the greenery of the vegetation that reflects in the blue of the sea. 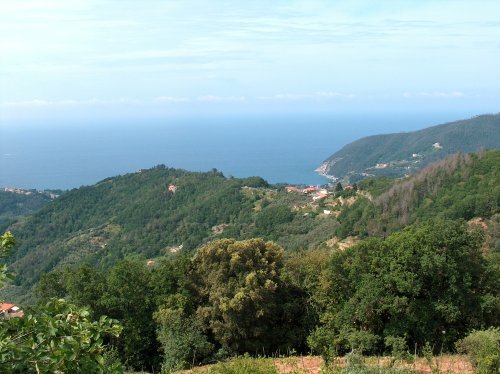 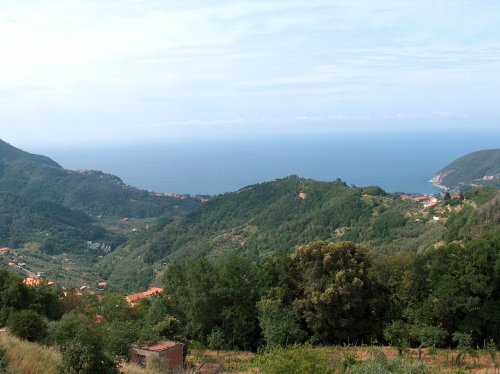 The mountains of Moneglia and Mezzema crown the bay, and you can reach them by walking or pedalling immersed in the greenery and fresh air, which restores your strength after the daily or nocturnal fatigues of a seaside holiday. 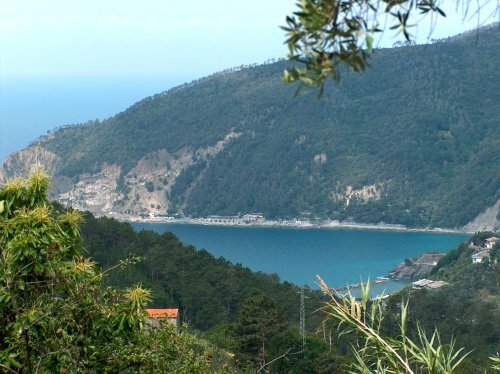 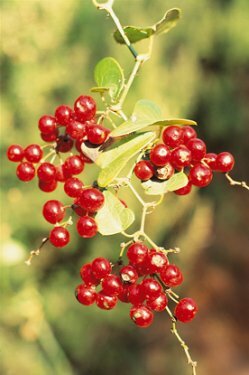 It is also possible to take part in guided nature walks that lead you to Mount Moneglia in a couple of hours, crossing olive groves, pine forest and chestnut trees, or in the direction of Punta Baffe or further on to Mount San Nicolao, 845 metres high, with its beautiful views over the Petronio valley, the Apuan Alps and the sea. 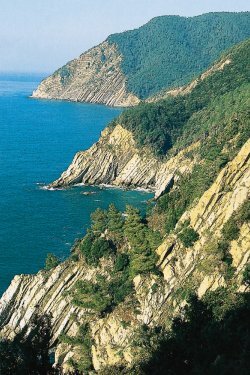 Its peak is the site of a prehistoric Ligurian settlement and the ruins of a Romanesque church with a "h ospitale " (or hospice) for wayfarers. 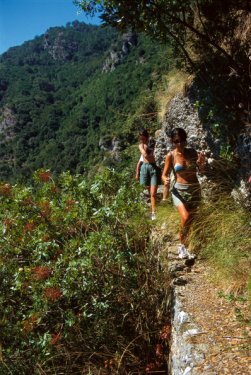 Lovers of strong emotions can practice climbing on the almost vertical sandstone ridges of Mount Moneglia. 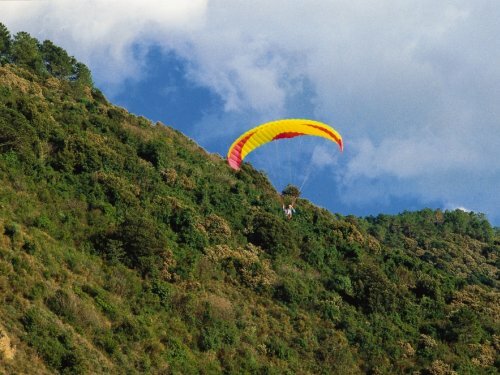 Alternatively, you can glide down from the top of the interior peaks on a hang glider or go surfing on the breakers of the "Secca" beach.